This 31,000 s.f. 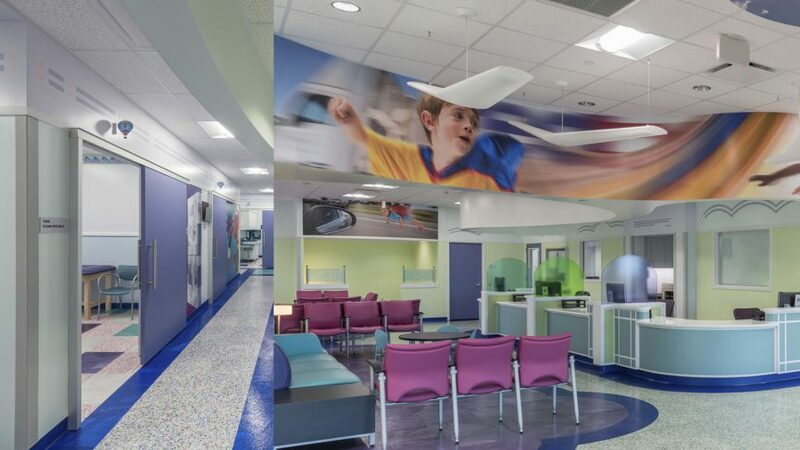 facility serves as both an urgent care center and a specialist clinic for a new development in northern Fort Worth, Texas called Alliance. 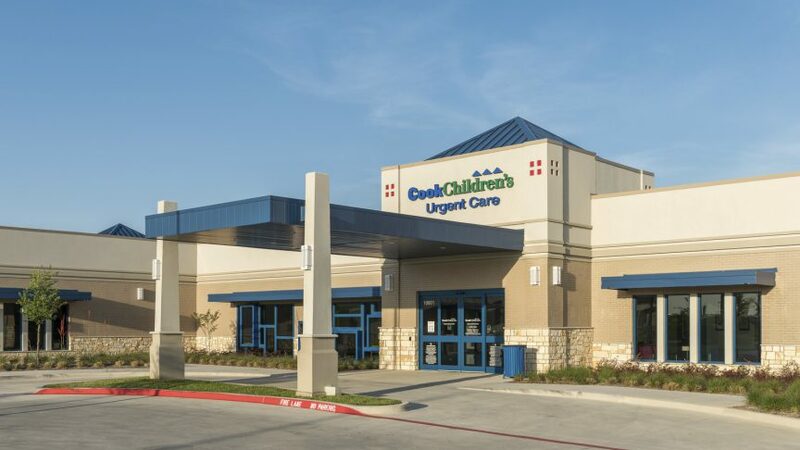 It was designed to fill the needs of the current residential growth in the surrounding area, while keeping its future in mind as it is slated to transform into a key children’s hospital and ED years down the line. 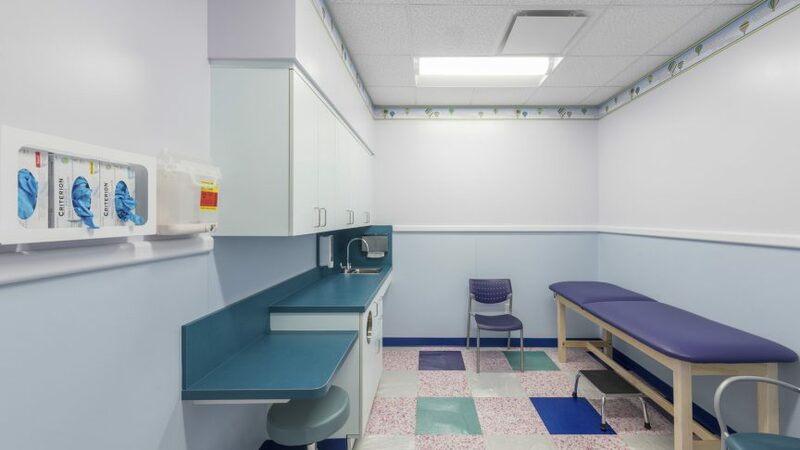 The urgent care center consists of 13 exam rooms, two trauma rooms, one x-ray room, and provisions for a future lab, pharmacy, and CT. 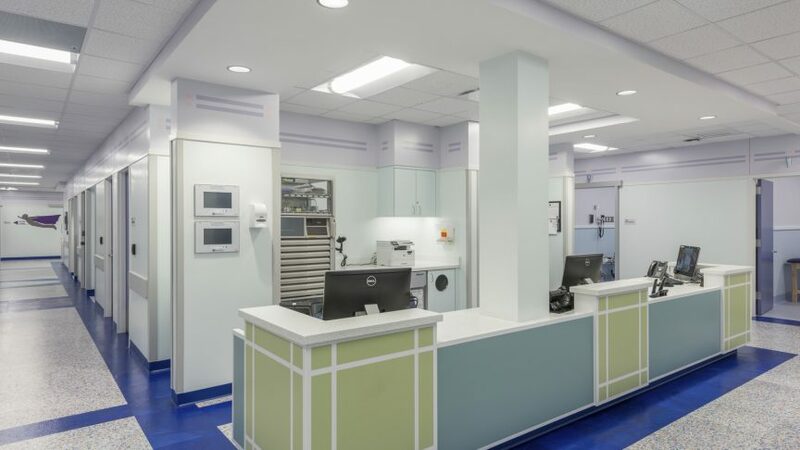 The specialty clinic will house orthopedics, behavioral health, ear nose and throat, and a pod of exam rooms with rotational specialists with the primary use being cardiology. The design is modular to allow ease of future construction when the building transitions, with modern aesthetics, use of cool colors, and the hint of a Mondrian motif repeated throughout.